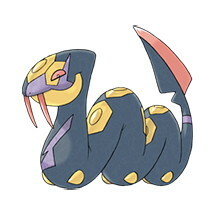 This page contains all the information available for Seviper in Pokemon Ultra Sun and Moon including all Level Up, TM, Egg, and Tutor moves. Shed Skin This Pokémon will heal its own status conditions by shedding its skin. Infiltrator Bypasses the effects of Reflect, Light Screen and Safeguard and strikes.